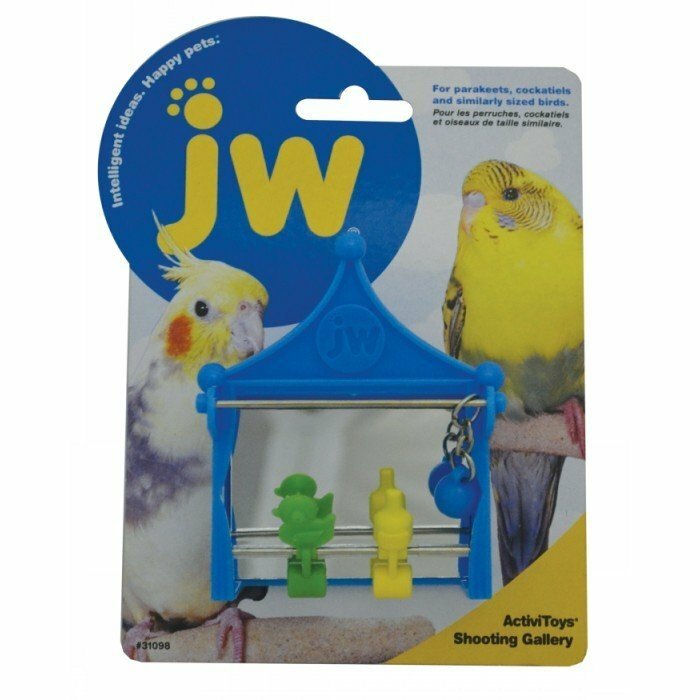 Shooting gallery by JW pet company is a part of the new carnival line of bird toys from JW. Brightly-colored to engage and entertain birds with fun features and bolt-on, easy attachment. This action packed toy has ducks and bottles to spin and manipulate. The hanging ball on a chain can be used to "shoot" the items and send them spinning. Another toy that provides a variety of textures and games to keep birds busy.